Paul has more than 20 years of experience in healthcare information technology including physician workflow automation, physician practice automation, payor-based medical management, pharmaceutical-based disease management and medical devices. Prior to joining PatientKeeper, Inc. in 2002, Paul held senior executive-level positions at leading healthcare and consulting firms including McKesson Corporation, HPR, and The Boston Consulting Group. Paul began his healthcare IT career as the founder and president of BCS, an early physician office management software company. Sally Buta is a co-founder of PatientKeeper Inc., and has had a hand in guiding the company from its formative stages to its current position as a leader in physician healthcare information systems. Ms. Buta helped design PatientKeeper Charge Capture, the leading solution for capturing physicians’ professional billing charges, which is used today by physicians throughout the U.S. at major academic medical centers, community hospitals, and physician practices. 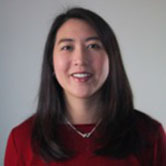 Since helping to start PatientKeeper in 1998, Ms. Buta has held a variety of positions at the company in software development, project management, product management, and product marketing. She currently leads PatientKeeper’s innovation initiatives. Ms. Buta holds an S.B. and S.M. in Materials Science and Engineering from the Massachusetts Institute of Technology. Meryl Dizengoff has been leading healthcare IT systems implementation projects for nearly 15 years, encompassing platforms and applications from a range of vendors including MEDITECH, Epic, Siemens, and other specialty vendors. 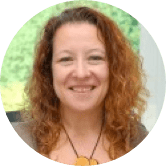 Prior to joining PatientKeeper, she ran clinical systems implementation projects as a manager in the healthcare provider practice at Deloitte Consulting, and at Boston’s Dana Farber Cancer Institute. She has extensive experience implementing a full scope of clinical applications, including CPOE and clinical documentation. Previously, Ms. Dizengoff held business management and operations roles at Harvard Pilgrim Health Care and the Massachusetts General Hospital. Ms. Dizengoff earned a MBA in finance from Emory University and a bachelor’s degree from Brandeis University. 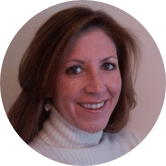 Cathy Donohue has more than 15 years of experience managing healthcare technology products and projects for healthcare providers and technology vendors. Prior to joining PatientKeeper, Donohue held product and program leadership roles at AMICAS Inc. (now Merge Healthcare), where she oversaw 10 product lines, drove more than 35 product releases annually, and provided quality management representation across four facilities. 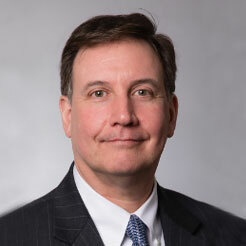 Previously, Donohue worked in product and project management capacities at HealthGate Data Corp., Partners Healthcare, and HealthCare Microsystems. 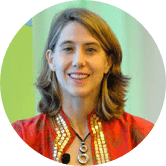 At Partners, she led the inaugural roll-out of the Enterprise Master Patient Index (EMPI) application to Massachusetts General Hospital, Brigham and Women’s Hospital, and four other member institutions. Dr. Maiona helps guide PatientKeeper customers in how they can improve their physician experience and clinical outcomes utilizing PatientKeeper products, and brings a clinical voice to the product design and implementation processes. Dr. Maiona has devoted much of his career to hospital medicine, both as a practicing physician and executive at provider organizations. Prior to joining PatientKeeper, Dr. Maiona was national medical director at Team Health and IPC Healthcare, focused on performance improvement, patient experience and quality. Previously, he was in charge of hospital medicine at several multi-site practice groups in the Boston area and Maine. He began his career as a hospitalist in Macon, Georgia. Dr. Maiona received bachelor’s degrees from Boston College and University of Massachusetts/Amherst, and his medical degree from St. George’s University School of Medicine. 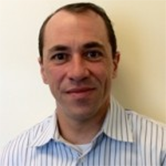 Board certified in Internal Medicine, he is an Instructor in Medicine at Tufts University School of Medicine, and is active in the Society of Hospital Medicine, where he is a Senior Fellow Hospital Medicine (SFHM). As PatientKeeper’s Senior Director of Technical Solutions, Andrew Robertson guides PatientKeeper customers through the technical needs assessment and evaluation process as they plan their purchase of PatientKeeper solutions. Robertson has been with PatientKeeper for 10 years in a variety of technical service and sales support roles. Prior to PatientKeeper, he was a co-founder and director of technology at ArcStream Solutions, and held software consulting and development positions at Fidelity Investments and Naviant Technology Solutions. Robertson holds a B.S. degree in business and computer science from Indiana University. 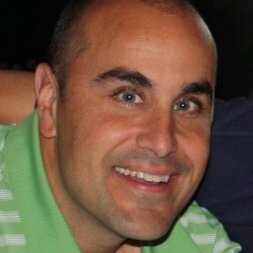 Mike Southern brings over 20 years of human resource management experience to PatientKeeper. 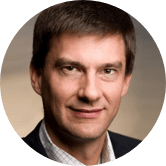 He has worked for a broad spectrum of organizations from professional partnerships to Fortune 100 companies, including Philips Medical Systems and McKesson. Southern has served as Vice President of the Human Resources Leadership Roundtable and is a long-standing member of the Society for Human Resource Management. He holds a Bachelor of Science degree in Management and Economics from the State University of New York at Plattsburgh, and earned his Masters degree in Business Administration with a concentration in Human Resources from the College of St. Rose. 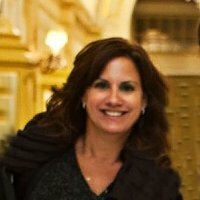 Amy Sullivan is vice president of revenue cycle solutions at PatientKeeper, Inc. Sullivan has been in the healthcare technology business for 25 years, 15 of them at PatientKeeper. Previously she held positions at McKesson, Cerner, and UMass Memorial Medical Center. A board-certified pediatrician, Jennifer practiced for nine years as a hospitalist in the Neonatal Intensive Care Unit at both Children’s Hospital Los Angeles and Children’s Hospital Boston. Jennifer received her bachelor’s degree in Electrical Engineering and Computer Science from the Massachusetts Institute of Technology and her medical degree from Dartmouth Medical School and her Masters in Medical Informatics from the Harvard-MIT Health Science and Technology program. Jennifer did her residency training at the Children’s Hospital of Philadelphia.